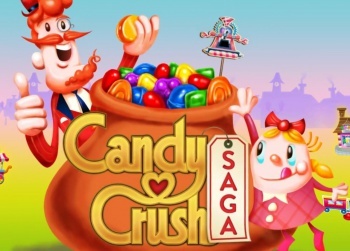 The International Game Developers Association says King's trademark claims on Candy Crush Saga are overreaching and predatory. King's trademark claims against everything even tangentially infringing upon its Candy Crush Saga have been heavy-handed to say the least. Even as it apologized for cloning games itself and claimed that it was only going after actual infringers, it purchased the rights to an old game in order to undercut a trademark claim against it by the maker of CandySwipe. It's ugly business by any measure, and it's finally come to the point that the International Game Developers Association has decided to weigh in. "As an advocacy organization for game developers, the IGDA diligently monitors issues that may restrict a developer's ability to create and distribute his or her work," the IGDA said in a statement. "While we understand and respect the appropriate exercise of Trademark rights, King's overreaching filing in its application for the Trademark for its game Candy Crush Saga, and its predatory efforts to apply that mark to each separate word contained in that name, are in opposition to the values of openness and cooperation we support industry wide, and directly contradict the statement King's CEO, Riccardo Zacconi, made on 27 January." I don't imagine there's anything the IGDA can actually do about it, but it's good to see the group calling shenanigans where it sees them. And who knows? If King has any shame at all, maybe this will help convince it to dial back the goonery a bit. The IGDA said its Business and Legal Special Interest Group will issue a more comprehensive analysis of the situation in the near future.